Last weekend we had the chance to team up with Chris and Connie from BigDoer.com. We had a very specific objective in mind, which I am not going to tell you about yet. I first met Chris and Connie just over three years ago when we all attended the Alberta Grain Elevator Society (AGES) conference in Nanton, AB. I was already very familiar with their work and explorations so it was actually quite a big deal for me to finally meet the people behind the blog. I guess with so many interests in common, it was only natural that we seemed to get along and ended up becoming good friends. So, with all four of us loaded into our Kia Rondo, we set off to the south on Sunday morning. 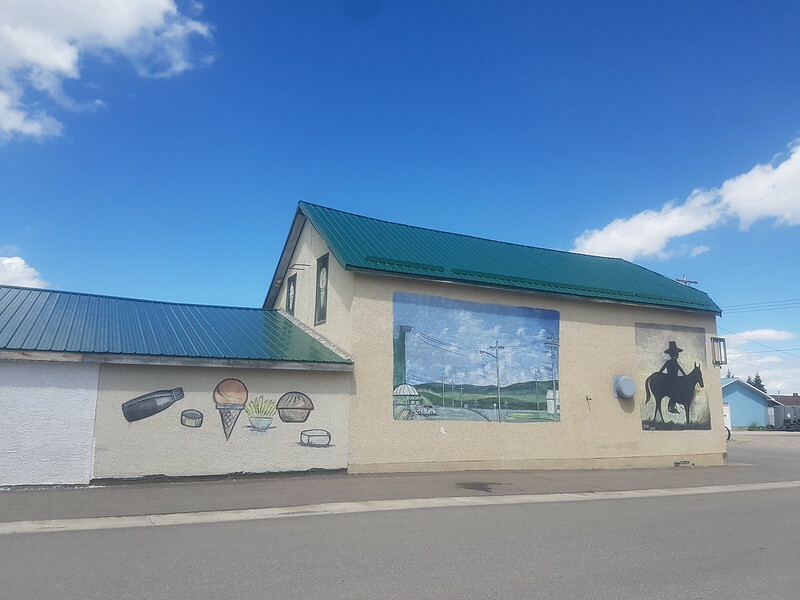 We would check out the Maycroft school, our main [for now] secret objective, grab some lunch beside Racehorse Creek, check out some familiar sites in Coleman and the Crowsnest Pass, grab gas in Lundbreck, and then beat it for home. It was a bit of a whirlwind trip, given that I think I could easily spend a month in the Crowsnest Pass and never be bored. In an odd twist, I didn’t really take that many photos. When I went to download the contents of the memory card from my trusty old Nikon D90, there were only about eight photos. I didn’t take any pictures in Coleman or Blairmore. Heck, other than a quick orbit of the Maycroft school (and the secret objective), the drone barely even saw the light of day. This entry was posted in Travel and tagged Alberta, Canada, Crowsnest Pass. Bookmark the permalink. Great day hanging with the DanOCan crew. Always fun! 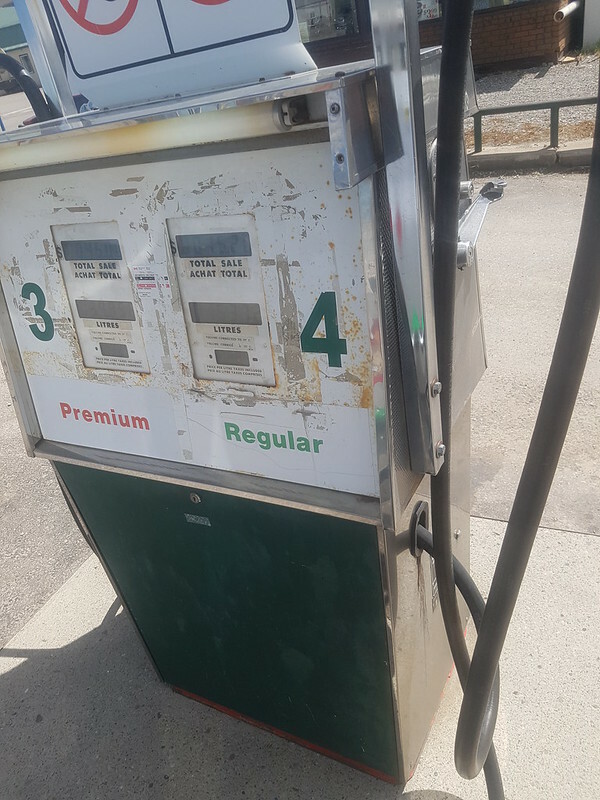 Haven’t seen a gas pump like that in like forever. It alone was worth the price of admission.